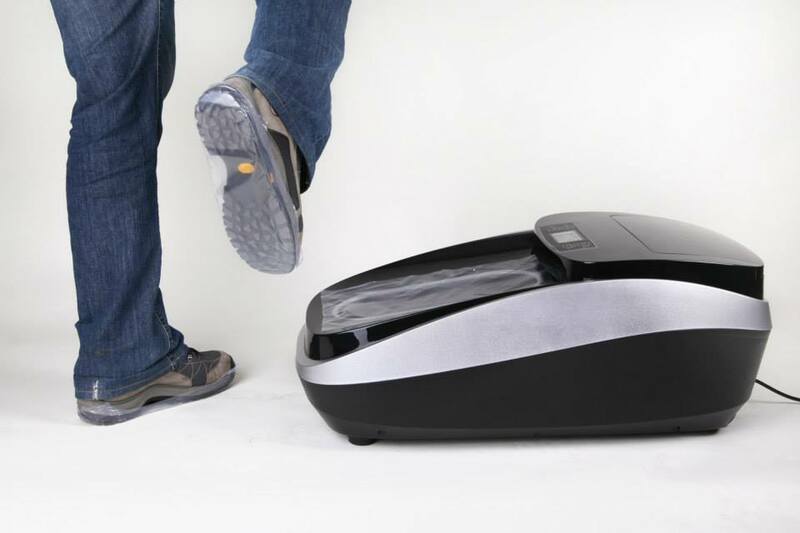 CAN THE SHOE COVER MACHINE ACCEPT OTHER SHOE COVER? No, our thermo shrinkable shoe cover dispenser can only use our PVC film, other shoe cover (like PE shoe cover,non-woven shoe cover) is not acceptable for our machine. We can developing new model now which can use pe shoe cover. Previous: ONE ROLL PVC FILM CAN MAKE HOW MANY PAIRS SHOE COVER? Next: HOW TO REMOVE THE SHOE COVER FROM SHOE?